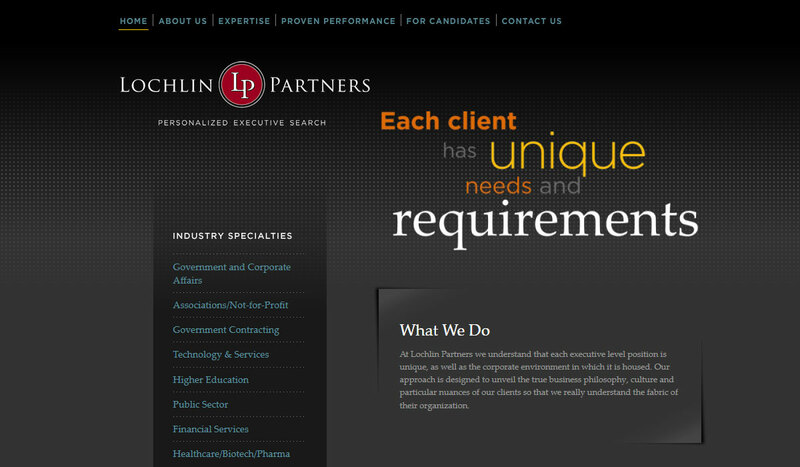 Lochlin Partners was created as a boutique executive search firm to stand apart from the rest of the industry. They wanted a site that conveyed their hands-on process, a partner-centric approach that veers 180 degrees from the “factory” model of the large search firms. 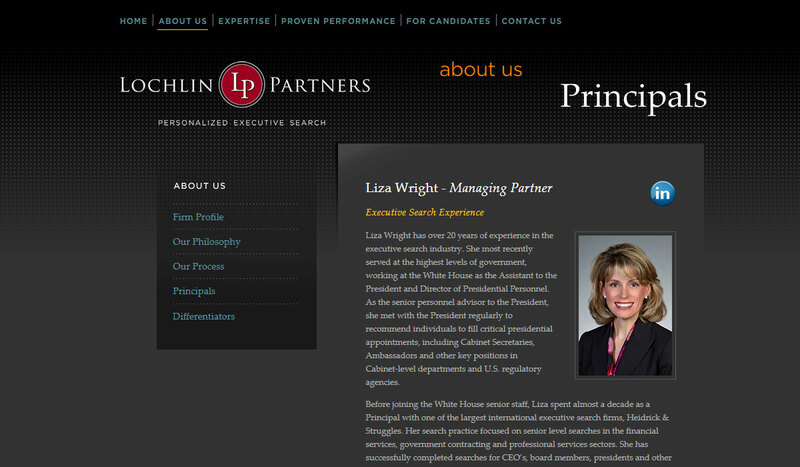 We built a site that clearly displays their expertise across a number of industries and shows how they won’t rest until the perfect candidate is in place.